Big Finish have announced the return of Eve Myles and Kai Owen in the third release of a new series of Torchwood Audio Dramas. 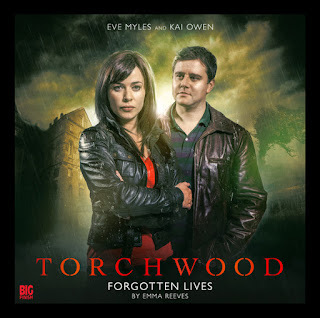 Torchwood: Forgotten Lives will be released in November, and can be pre-ordered today. Additional casting announcements will be made soon. It will be followed by three further stories at monthly intervals, through to February 2016. You can subscribe to all six titles today, starting with September's Torchwood: The Conspiracy, released now.